Do Sweetie Sweet onions look different than typical yellow onions? YES! As you become more familiar with onions you’ll see that Sweetie Sweet onions have an overall lighter coloring of soft yellows and greens and the outer skin is thinner/lighter. Yellow onions are typically copper brown in color with thicker skins. Sweeties are round, not flat. Why are Sweetie Sweets round instead of flat like some onions? We have a long heritage of growing beautiful globe-shaped onions. Round onions are easier to cut and have more usable onion than flat onions so they’re a better value for consumers. A flat shape doesn’t guarantee sweetness. Sweetie Sweet® onions are always round and always sweet. Where do you grow Sweetie Sweets? 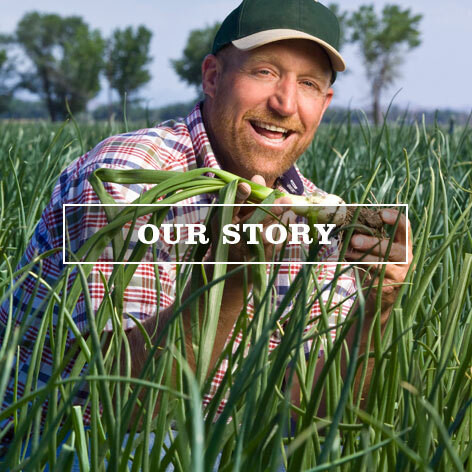 We grow our Sweetie Sweet onions on our family farms in Yerington, Nevada and in Firebaugh, California. We think it’s important that people know where their food comes from. We encourage you to find out more about our sustainable and organic growing processes. How do I store Sweetie Sweets? For best results, store Sweetie Sweets in a cool, dry place that is well ventilated. Do not store alongside potatoes. Optimal temperature should be around 39°F (4°C). This should allow them to last for a few weeks. Is Sweetie Sweet grown from genetically modified seeds (GMO)? No. Peri & Sons Farms uses traditional breeding techniques. We do not use GMOs or any form of genetic modification to produce our onions. Do Sweetie Sweets have any special nutritional value? Sweetie Sweets naturally detoxify the body and contain organosulfur, flavonoids and many beneficial compounds that positively effect gut health and promote longevity. A medium-size onion is a good source of vitamin C, dietary fiber, potassium and calcium. How would I use a Sweetie Sweet onion? Sweet onions contain more natural sugars and moisture, and less pyruvic acids, than typical yellow onions so they are best eaten raw, on sandwiches and in salads. 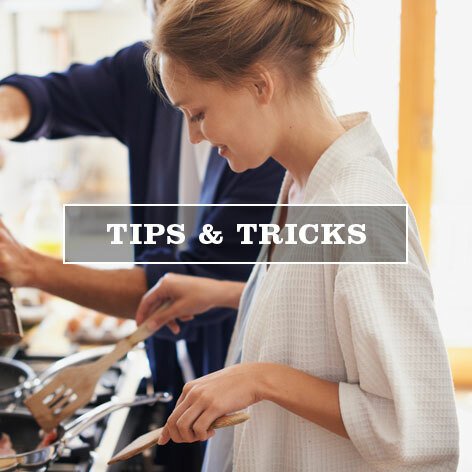 Gently grilling or caramelizing brings out the sweetness even more but be careful not to overcook or you’ll lose the delicate taste and texture. Is Sweetie Sweet grown using Sustainable Farming practices? It took years of hard work, planning and preparation for Peri & Sons Farms became the first domestic, onion farming operation to achieve the Sustainably Grown certification from SCS Global Services (SCS). The certification, firt issued in January 2016, by SCS in accordance with the producer requirements of its Sustainably Grown standard, meets some of the world’s highest environmental, social and economic criteria. We continue to uphold this important certification today. Is Sweetie Sweet available as an Organic? Year-after-year since 2006 our onions have been Certified USDA Organic by Organic Certifiers (https://organiccertifiers.com). Peri & Sons Farms ORGANIC Sweetie Sweet onions continually meet, or even exceed, National Organic Program standards in accordance with the USDA’s and the EU’s strict government standards, procedures and regulations. Are Sweetie Sweets available all year? Eating seasonally is healthier, more nutritious and flavorful and better for the environment. You can find them in grocery stores across the U.S. from July through December every year. Our Sweetie Sweet onions are available in Organic (USDA Certified Organic certified by Organic Certifiers) and Premium (Certified Pesticide Residue Free* by SCS Global). Look for our colorful bags and tags to make sure you’re getting the real Sweetie Sweet. join the club and make life sweeter! Join the Onion Obsession club and get great recipes, tips and tricks delivered straight to your inbox. Thank you. We have recieved your information. We will be in contact soon.